This graph shows another view of the core. Rather than require reciprocal links, I have simply pulled out the largest connected component formed by any directional link between blogs. 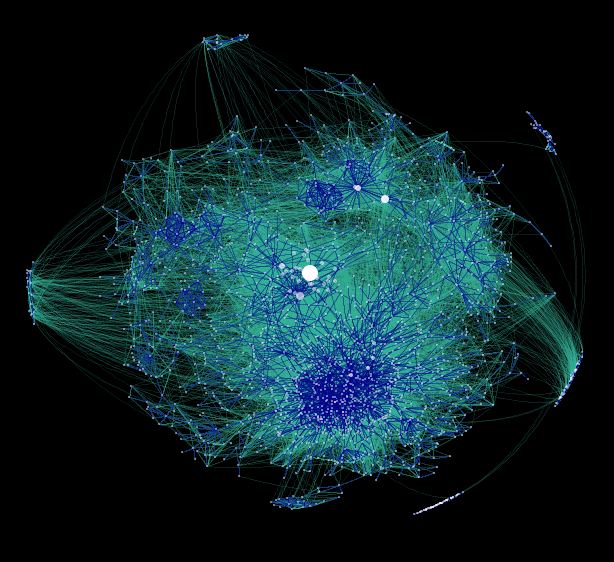 The obvious insight here is the relationship between LiveJournal (blue) and the rest of the core. 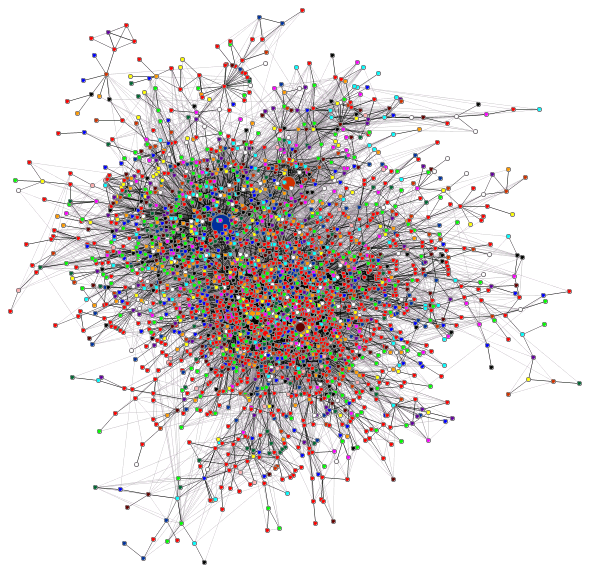 By showing only the links in the graph, we can get a far better look at the structure than if we include all the nodes. In this image, we are looking at the core of the blogosphere. The dark edges show the reciprocal links (where A has cited B and B has cited A), the lighter edges indicate a-reciprocal links. The larger, denser area of the graph is that part of the blogosphere generally characterised by socio-political discussion (the periphery contains some topical groupings). Above and to the left is that area of the blogosphere concerned with technical discussion and gadgetry. This graph is essentially the same as the above with the nodes added. 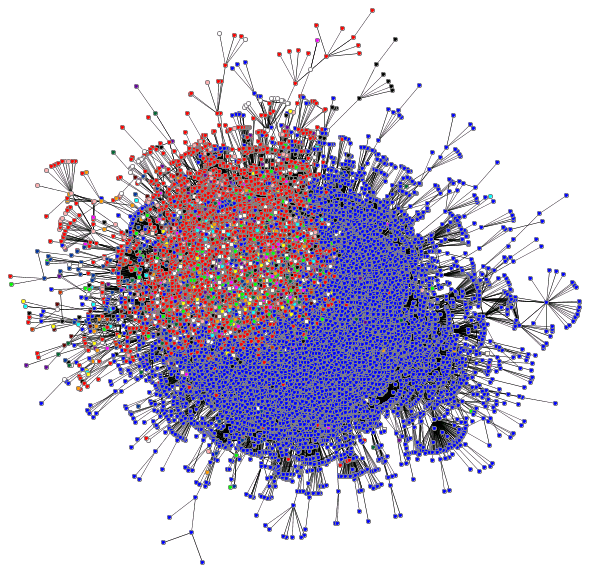 The size of the nodes represents the number of inlinks to the blog. The colours represent the URL - blogs hosted at the same domain have the same colour. Here we have a hyperbolic display of blogs using both the WWE and the ICWSM 2007 data sets.